At a packed media event in San Francisco, the Cupertino-based gadget giant announced the upcoming availability of the iPad 2, the continuation of its already popular tablet PC. Marking the release, UK carriers including Orange and T-Mobile have already confirmed on plans to add the device to their offerings. On the other hand T-Mobile confirmed subscribers on the availability of the next generation tablet PC as soon as Apple decides to make the device available for purchase in the UK, which is expected to happen not later than March 25th. 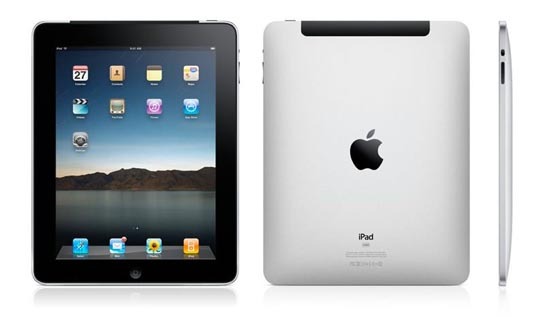 Whereas in US, the Apple iPad 2 is being voiced as being available on March 11th. Following the later’s path, Apple announced the availability of iPad 2 of both Wi-Fi only models as well as Wi-Fi +3G, differentiated with choice of the internal memory: 16GB, 32GB and 62GB. Whereas, we did hear on the launch price of the different models in US, no specific info on the pricing of the new device in the UK was unveiled as yet, but based on previous calculations, the device is expected to cover similar pricing. Apple newly released tablet PC gets a complete revamp over the specs and features, the iPad 2 comes powered with the latest flavor of Apple’s mobile operating system, the iOS 4.3, offers the Safari mobile browser, iTunes Home Sharing, enhancements to AirPlay, Personal Hotspot capabilities and much more.